The Belgian beer world is known for its many beers, but also for its many breweries. We offer plenty of small, but also very large, professional brewers. Usually they have a rich history, established many centuries ago. 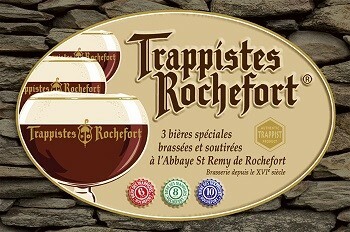 Thus, this St Remy - Rochefort brewery was founded in 1887. A brief history can be found later in this article. In 1230, the Secours Notre Dame was founded by Gilles de Walcourt, which formed the basis for the present abbey. After many wars, plagues and other setbacks the Abbey was bought and renovated in 1887 by the Achel monks. The brewery was also recovered, but it took until 1952 before commercial production was possible again.